Big Bang’s G-Dragon is caught up in another plagiarism controversy. 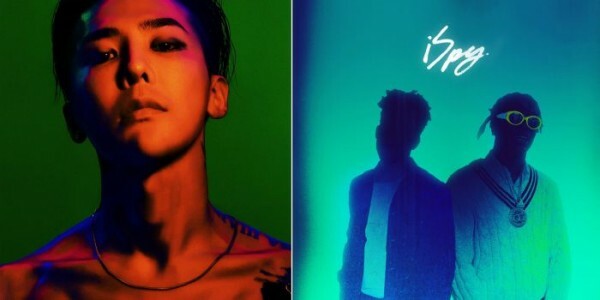 This time netizens have pointed out that the track “Intro: Middle Fingers Up” from G-Dragon’s latest album “Kwon Ji-Yong” sounds striking similar to “iSpy” by the American rapper KYLE. Take a listen and compare the two songs here. The issue of whether or not the song is a case of plagiarism has sparked netizen debates. Some fans defend the similarities by saying that it is probably sampling, or that the songs just happen to sound alike. Meanwhile, others believe the song is an exact copy. Additionally, another track on the album, “Outro: Divina Commedia” was pointed out to have sampled “Veridis Quo,” by Daft Punk. However, netizens could not find credit of sampling of the song on the album’s tracklist either. This is not the first time that G-Dragon has been accused of plagiarism. In 2009, there were claims that G-Dragon’s song “Heartbreaker,” was plagiarized from Flo Rida’s “Right Round.” EMI who has the rights to the song “Right Round,” announced that they saw no similarities between the two songs. However, Sony Korea prevented G-Dragon from further promoting the song without paying reparations. They also sent a letter of warning about plagiarism, although not a legal action. Eventually, the controversy ended when YG Entertainment contacted Flo Rida personally, and he was featured on the 2010 remix of “Heartbreaker.” The song was released as a bonus track. What do you think of this controversy? Do you think this is a case of sampling?